Excess skin from weight loss or post-pregnancy can only be eliminated through surgery. A tummy tuck will allow you to achieve your optimal goal. It is important to have realistic goals, and this is something you will review with Dr. Claytor during your consultation. The tummy tuck or abdominoplasty procedure can help remove those abdominal stretch marks and excess skin and, in most cases, repair or tighten the abdominal muscles.. The combined liposuction can address the stubborn fat which can be resistant to dieting and exercise. An added benefit of the tummy tuck procedure can be the tightening of the abdominal muscles which can become stretched out during pregnancy and may result in an abdominal bulge. The newest surgical techniques enable patients to enjoy the benefits of abdominoplasty without the need for postoperative drains. A drainless tummy tuck is not just a standard tummy tuck without the use of drains, it involves a unique surgical technique which leaves a thin layer of scarpas fascia intact allowing for natural lymphatic drainage and eliminating the need for cumbersome drains. Dr. Claytor, who teaches the advanced course on scarpas sparing abdominoplasty at the national meetings for the American Society for Aesthetic Plastic Surgery, keeps scarpas fascia intact to act as a lymphatic drainage system. For each technique, additional benefits come from less cautery and more discontinuous undermining which allows for improved blood supply and less traumatic tissue disruption. 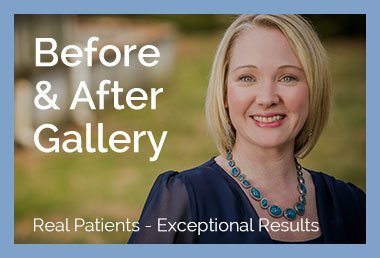 You need a Board Certified Plastic Surgeon with years of experience; you need Dr. Claytor. The recovery from surgery is varied and may be dependent on your activity level prior to surgery. Most patients return to regular activity within 2 weeks and full activity within 1 month. I’ve always been relatively fit, but in the past couple of years my metabolism has slowed a little, and my stomach has started sagging more. Thinking it was mostly a little extra fat, I was hoping I could get rid of it with non-surgical intervention like Sculpture. In May 2017 had a consult with Dr. Sorokin in Cherry Hill NJ who said that most of my floppy belly was muscle laxity from my four pregnancies and loose skin, not fat. While I have some fat, liposuction or Sculpture would not solve my problem, only a tummy tuck would tighten the rectus muscles and get rid of the excess skin. So, my search for a tummy tuck surgeon began. When I began the process of investigating plastic surgery, I never thought I’d end up getting a tummy tuck. I was hoping to find a less invasive way of ridding myself of the stretch marks, saggy skin and fat deposits left after pregnancy. I tried cool sculpting but didn’t get any noticeable results. Finally, I decided that I would schedule some consultations to research surgery. After a few visits, the verdict was in- Learn to live with my belly or get a full tummy tuck. I have demanding kids, a demanding job and a demanding husband. A recovery time of 6 weeks was not going to happen. I am also extremely squeamish about blood, and seeing the pictures of incisions and drains, I just couldn’t imagine putting myself through that. After doing some reading I learned about drainless tummy tucks. This option seemed to offer the possibility of less gore and a shorter down time. Suddenly the tummy tuck became a possibility. There are no surgeons offering drainfree tummy tucks in center city Philadelphia, so I expanded my search to the Main Line (suburbs). It was there that I found my amazing doctor, who (luckily for me) had recently taken over an established practice and had brought his drain free technique with him. I am now 3 weeks out and couldn’t be happier with my results and recovery. My belly is flatter than it was when I was a 120 pound teenager. For the first time in decades, I am looking forward to bikini season. That would be enough, but I have also had a super-easy recovery with very little pain. I was uncomfortable for about 3 days, but after that I was off pain meds and standing upright. I was on my feet and hanging with the family after about 5 days. By day 10, I was back to work. I have compared my experience with the experiences of other RS users and have been amazed at how different my experience has been. It almost feels like cheating. So the bottom line is that I am happy with my decision to have a tummy tuck and I credit my doctor and the drainfree method for my excellent outcome. I have endometriosis in my c-section incision and have had 3 c-sections. I have to have the endo removed by surgery so I thought it would be a good time to have a tummy tuck! I have lost almost 60 pounds and weigh 193 and I am 5’9. the weight was not baby weight that I lost they came off immediatly as I did not gain anymore then 15-20 pounds. I am nervous and excited and should have the surgery in next 4 weeks. Insurance is covering the endometriosis and I am paying for tummy tuck. I dont plan to have liposuction.